WASHINGTON �C Lockheed Martin stands to receive an additional $345.6 million from the U.S. government for its work on a ground-based ballistic missile defense system. 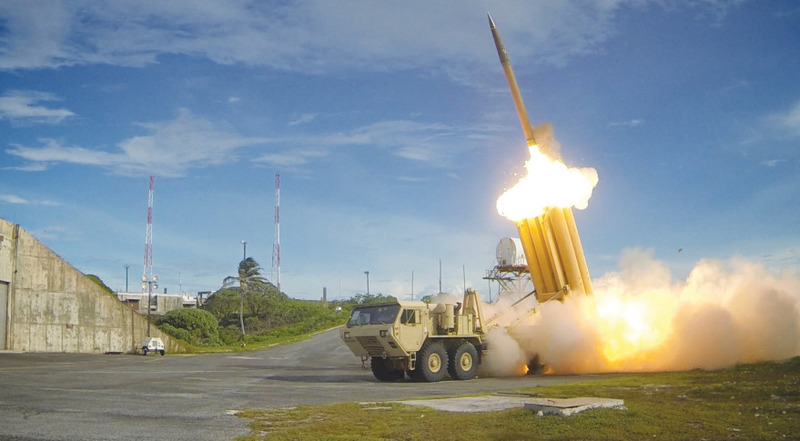 The added money will go towards the company’s work on the Terminal High Altitude Area Defense system, or THAAD, for the Missile Defense Agency. It brings the total potential value of the indefinite-quantity, indefinite-delivery contract to more than $1.3 billion. THAAD consists of a boosted intercept vehicle designed to destroy incoming missiles in flight. It’s designed primarily for deployment overseas to protect against regional ballistic missile threats. Aerojet Rocketdyne provides the booster. Lockheed Martin has also been working on developing an “Extended Range” version, dubbed THAAD-ER. This would feature a two-stage booster rocket that could travel at higher speeds. In theory, this would allow the system to intercept incoming missiles at a much earlier stage of flight. SpaceNews has reached out to Lockheed Martin for comment. Lockheed Martin’s contract modification was announced the same day U.S. Defense Secretary James Mattis, en route to Seoul, reaffirmed the United States’ commitment to deploying THAAD in South Korea to defend against potential North Korean missile attacks.